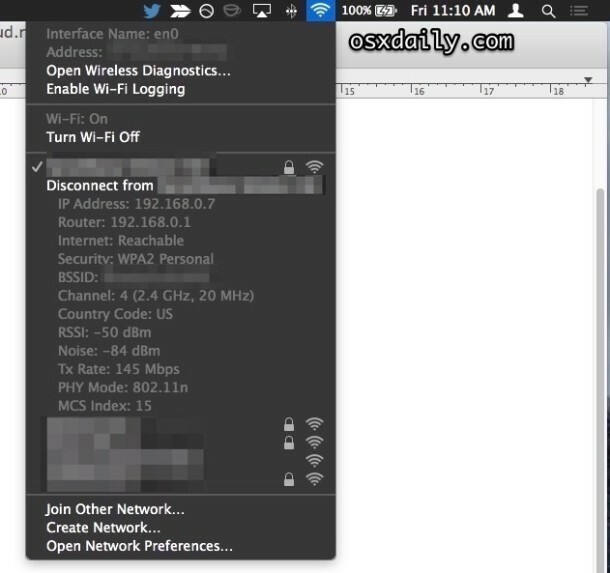 You can retrieve extended wireless connectivity data and details from anywhere within Mac OS X by using a nifty trick that toggles the Wi-Fi menu bar item to display additional specifics about any wireless router. To do this, hold down the Option key and then click on the WiFi menu icon found on the Mac. You can also hover the mouse over other listed SSID’s to see a slightly more condensed version of this information for the additional networks. All of this can be helpful for avoiding potential channel conflicts, or when troubleshooting wireless problems. And yes, I called it the WiFi menu rather than AirPort, since from Lion forward has moved away from the AirPort references, at least in regard to the menubar. That has stuck with all new versions of OS X and will continue forward, be it Mavericks or whatever other version you’re in. This trick works in all semi-recent versions of OS X, so it almost doesn’t matter what version of the operating system you’re running on your Mac, you’ll be able to find these additional Wi-Fi details from the menubar item. In Lion there’s a new “Wi-Fi Diagnostics” in that menu. Pretty interesting. Do you have a screenshot of that? 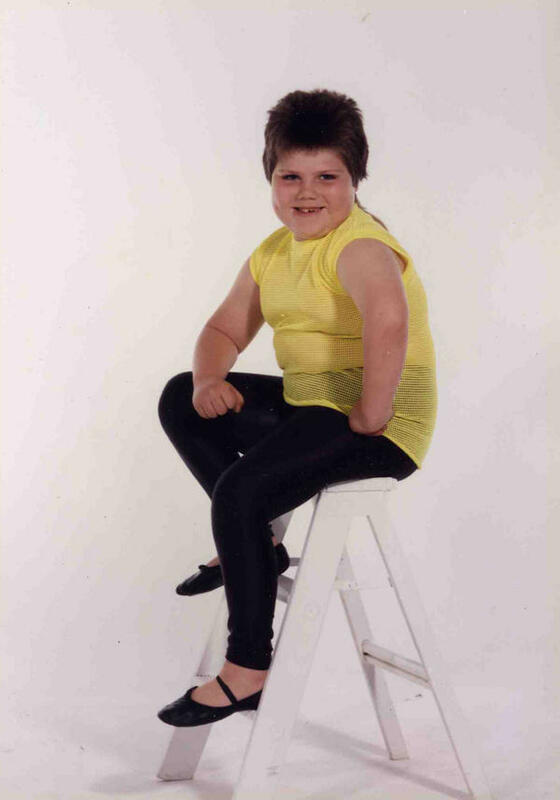 I don’t see it. Looks like this works also for the Bluetooth and Sound menus. 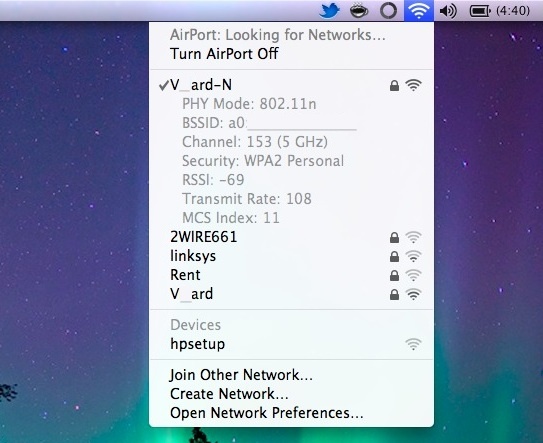 « “AirPort” Now Called “Wi-Fi” in Lion, Simple Name Change or Sign of New Products?